The Aurora Borealis in Iceland. THE WHY FACTOR: Let’s look at Denmark’s 2014 calendar of events. It seems the country’s got something for everyone to do—from a birthday celebration for the famous Danish author and storyteller, Hans Christian Andersen, to its own Carnival celebration and international film festival. One event that illuminates Denmark’s cultural offerings is Wondercool, a month-long slew of festivals taking place in February with city-wide events that focus on art, architecture, design, food, fashion and music. BE FASHIONABLE: Strolling down the pedestrian shopping street, Stroget, in Copenhagen, is a must-do for fashionistas. Copenhagen is also home base for the Nordic region’s fashion event of the year: Copenhagen Fashion Week in late-January and early-August. Other Danish cities prime for shopping for the latest in design and fashion are Aarhus, the northern city of Aalborg, and Odense. DELIGHTFUL BITES: One of the biggest food festivals to hit the scene in Denmark is Copenhagen Cooking, a 10-day food-infused celebration of over 150 culinary events that takes place in August. MUST-DO: With more than 7,000 miles of bicycle routes, Denmark is a country that embraces cyclists, and in fact, one third of people working in Copenhagen commute via bike. The Danish landscape is practically made for exploring on two wheels, and even if your clients get tired, all trains in Denmark allow bikes on board. 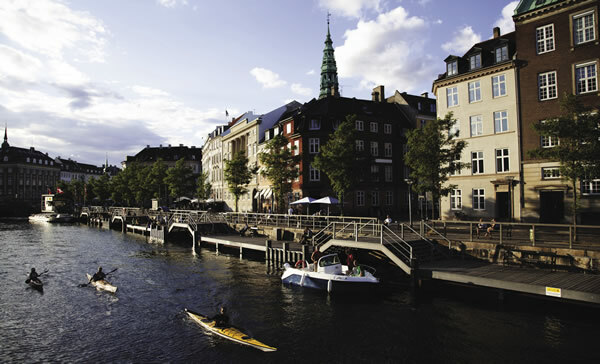 WHERE TO STAY: Copenhagen’s five-star luxury Hotel d’Angleterre (dangleterre.com). Also known as the “white lady,” this hotel opened in 1755 and recently underwent an extensive renovation that fused its historic charm with a few modern elements. Marchal is the onsite restaurant serving gourmet dishes created by Michelin-awarded executive chef, Ronny Emborg. The hotel also added Balthazar, Copenhagen’s first champagne bar. “The best winter season is from November until April. Especially in Lapland where it’s guaranteed to have snow and great winter conditions. Pure nature, white snow and amazing Northern Lights give a magical experience for every visitor. Also, other parts of Finland are worth a visit during the winter, like in Lakeland you can benefit from the thousands of lakes and go tour skating, ice fishing or even ice-swimming,” says Eva Kiviranta, coordinator, PR and social media, Visit Finland. THE WHY FACTOR: Finland’s capital city, Helsinki, is where any Finland getaway should start. Situated by the Baltic Sea and surrounded by some 300 islands, this capital emits the best in outdoor activities, nightlife, history, architecture and culture. Recommend a tour of the fortress of Suomenlinna, a UNESCO World Heritage site. During the summer months when the days are longer and there is still light in the sky late into the evening, the last ferry departing from the fortress to Helsinki departs at 2 a.m.
BE FASHIONABLE: Named a “World Design Capital” in 2012, Helsinki’s Design District, with its 200 boutiques, galleries, and restaurants, is a mecca for shoppers looking for the latest designs, accessories, antiques and knick-knacks. DELIGHTFUL BITES: Four times a year, the people of Finland celebrate food with Restaurant Day, when anyone can simply set up a restaurant, anywhere, just for a day. The idea originated in Helsinki about two years ago, starting as a social media phenomenon that transformed into a culinary movement. Restaurant Day takes place four Saturdays a year in February, May, August and November. MUST-DO: A boat, or canoe trip, in and around Finland’s many lakes, channels and islands, especially in Finland’s Lakeland region. Explore Lake Saimaa while keeping an eye out for the Saimaa Ringed seal, an endangered freshwater seal, or there is Lake Paijanne, which supplies the drinking water for Helsinki. WHERE TO STAY: Klaus K (klauskhotel.com/en) is a family-owned boutique hotel in the heart of Helsinki with rooms designed and inspired by the Finnish literary poem, The Kalevala (rooms are named Mystical, Passion, Desire and Envy). The Klaus K Hotel Helsinki Day Spa, located next door to the hotel, offers facial, body and specialty treatments. Restaurants are also on site serving breakfast, brunch and dinner. THE WHY FACTOR: Reykjavik is where a visit to one of many thermal swimming pools or spas is a must-do. Whether taking a swim or soaking for hours, a thermal steam bath is the best way to experience this way of life in Reykjavik. BE FASHIONABLE: Don’t leave Iceland without a traditional Icelandic lopapeysa, a knitted wool sweater normally worn by farmers and fishermen, and now one of the trendiest items to have. Also, anything made with Icelandic wool: scarves, gloves, hats and blankets. DELIGHTFUL BITES: According to Nordin, there are a few trending restaurants like the Fish Market, presenting a menu that lets you know you’ve landed in Iceland—grilled tenderloin of reindeer and pan-fried blueling, for example—while the chefs at the Fishcompany create culinary flavors that represent the different towns and regions in Iceland. Try the salmon and shrimp common in the town of Grindavik with frozen cucumber, herb relish and smoked salmon crisps, seaweed paste and buttermilk sauce. MUST-DO: Iceland is all about national parks and open spaces—Vatnajokull National Park is the largest national park in Europe; the Thingvellir National Park is located in a valley between the American and European geological plates; and Lake Thingvellir, which contains species of fish found nowhere else in the world. WHERE TO STAY: Located across from Althingi, Iceland’s parliament and cathedral, in Reykjavik, is Hotel Borg (hotelborg.is). A luxury hotel with 56 rooms and suites decorated in modern designs and equipped with standard amenities, Hotel Borg is within walking distance from restaurants, shops and galleries; and the hotel’s onsite restaurant, The Silfur, serves classic Icelandic cuisine. 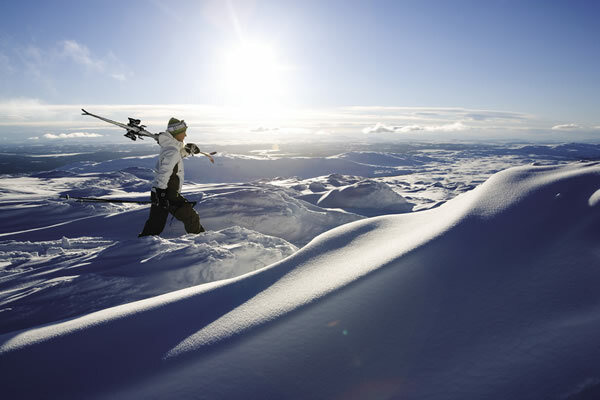 Skiing in Are in Sweden. “Certain areas of Scandinavia are traveled to very often, but don’t forget there are so many different areas to each one of these countries. Maybe while in Norway, take a Hurtigruten cruise from Oslo and travel as far north as Kirkenes, just a few kilometers from Russia. 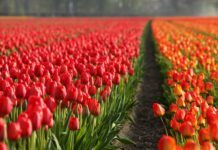 Some of these areas are so undiscovered and have so much to offer,” says travel agent and Vacation.com member, Mitch Gordon. THE WHY FACTOR: There is no denying that Oslo is what’s hip and happening in Norway. It offers everything from museums showcasing art, design, and architecture, to the Akershus Fortress, located in the city-center. There’s also the popular Vigeland Sculpture Park, restaurants and nightlife scene, and numerous outdoor activities in both winter and summer. BE FASHIONABLE: Sporting its own fashion week in August, visitors heading to Oslo will not be disappointed. This city has a selection of shopping malls, department stores, boutiques, and streets lined with small antique shops, flea markets, local handicrafts and international brand names. DELIGHTFUL BITES: In Norway, seafood is the way to go. The waters off of Norway provide fresh cod, salmon, shrimp, crab and trout found in restaurants and markets such as The Bergen Fishmarket, which has been trading since 1276, or the popular local fish restaurant in Trondheim, Havfruen, located in an old warehouse near the Nidarosdomen Cathedral. MUST-DO: The Fjords of Western Norway where active adventure can be found in cross-country skiing, horseback riding, river rafting, glacier hiking, kayaking, trekking and so much more. WHERE TO STAY: The Grand Hotel Oslo (grand.no/en) first opened its doors in 1874. The hotel features 292 rooms and 54 suites as well as an onsite restaurant and Artesia Spa with seven treatment rooms, a pool and sauna. The Grand Hotel Oslo was awarded “Norway’s Leading Spa Resort” by the World Travel Awards in 2012. Kayaking in the Copenhagen canals in Denmark. THEY WHY FACTOR: Gothenburg, located on the west coast of Sweden, is where music festivals, restaurants, shopping, and history merge to create a culturally rich destination. The town was founded in 1621 and has undergone a transition from a shipping and industrial city to a creative hub for innovation with internationally successful companies in the industries of marketing, architecture and web design. During the summer, Gothenburg is host to a number of international music festivals, like Way out West, which was listed as one of the top 10 best music festivals in Europe by The Independent in 2012. BE FASHIONABLE: In Gothenburg it’s all about the cafe culture, where most serve their own roasted coffee, and there are a variety of clothing boutiques showcasing designs from local talent, as well as vintage stores. DELIGHTFUL BITES: Find fresh seafood at the Feskekorka (“fish church” in Swedish) in Gothenburg. Far from an actual church, this indoor fish and seafood market is where you’ll find a large selection of fish caught fresh daily. It’s because of Gothenburg’s proximity to the sea that fresh fish and seafood arrive in top-quality; and it’s a plus that this quaint Swedish town was voted the Food Capital of Sweden in 2012. MUST-DO: A stroll through Haga, one of the first suburbs in Gothenburg. Located in the city-center, this quaint neighborhood has maintained its charm especially along the main street, Haga Nygata, which is lined with well-preserved wooden houses, boutiques and cafes. In the southeastern area of the district, visitors can check out the old defense tower, the Skansen Kronan, built in the 17th century. WHERE TO STAY: Hotel Dorsia (dorsia.se/en) is a five-star boutique hotel that recently opened in 2012 with 37 rooms, an onsite restaurant and cocktail bar, and during the summer, guests can enjoy the hotel’s outdoor piano bar. Rooms range from Small Classic to Large Executive and are designed with deep purples and pink complemented by vintage and modern furnishings. 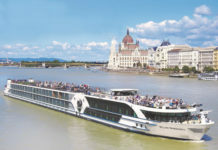 Collette Vacations (collettevacations.com) offers a 13-day Cruising the Best of Scandinavia tour (starting at $3,022 pp) visiting Denmark, Norway and Sweden. The trip begins in Stockholm before heading to Copenhagen for two days before embarking on Royal Caribbean’s Legend of the Seas, which sails passengers to ports along Norway’s coastline. 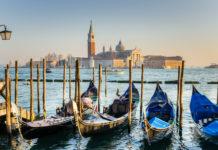 Scandinavia’s three major capital cities are highlighted in Kensington Tours’ (kensingtontours.com) 8-day Helsinki, Stockholm and Copenhagen tour. The itinerary features Helsinki’s architecture and picturesque coastline; Stockholm’s cobblestone streets, Gothic churches, and quaint shops and cafes, while in Copenhagen it’s all about savoring Nordic cuisine by up-and-coming chefs—all this while visiting monuments and each city-center with a guide. 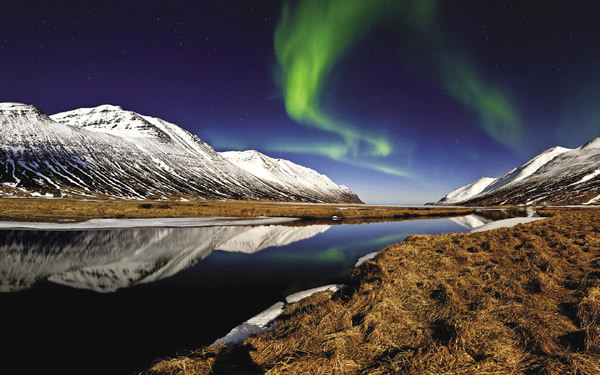 For your outdoor clients, look into G Adventures’ (gadventures.com) 10-day Trekking in Iceland ($3,299 pp) tour leading travelers to explore Iceland’s volcanoes and glaciers as well as camping the Laugaregur Trail. 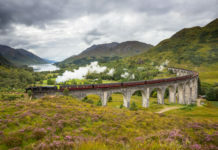 Disney’s “Frozen” gained inspiration from Norway, so what better family-friendly tour operator than Adventures by Disney (adventuresbydisney.com) to visit this Scandinavian country with its 8-day Norway trip (starting rates $4,989 pp). Highlights include visiting Bergen, a village that was the inspiration for the animated-adventure film and Fjord country; river rafting; learning about Norwegian folk dancing; and trout fishing on Lake Leon. The 8-day Sweden & The Midnight Sun tour ($4,455 pp) with Cox & Kings (coxandkingsusa.com) has travelers exploring Stockholm; visiting the distant town of Kiruna near the Arctic Circle (with 1-night accommodations at the Icehotel); followed by a train ride to Boden in the Norrbotten region of Sweden.